Here is something slightly different to the usual submission at My Haunted Life Too – Photographic evidence? of something paranormal at an old abandoned hospital in Texas…. Summary: Rural hospital, built in 1922, run by Nuns in 1933, run by different Nuns in the 1980s, and closed in 1997, after the new hospital was built. Abandoned since. Unedited photo, but with overlay indicators to demonstrate window reflection alignment. 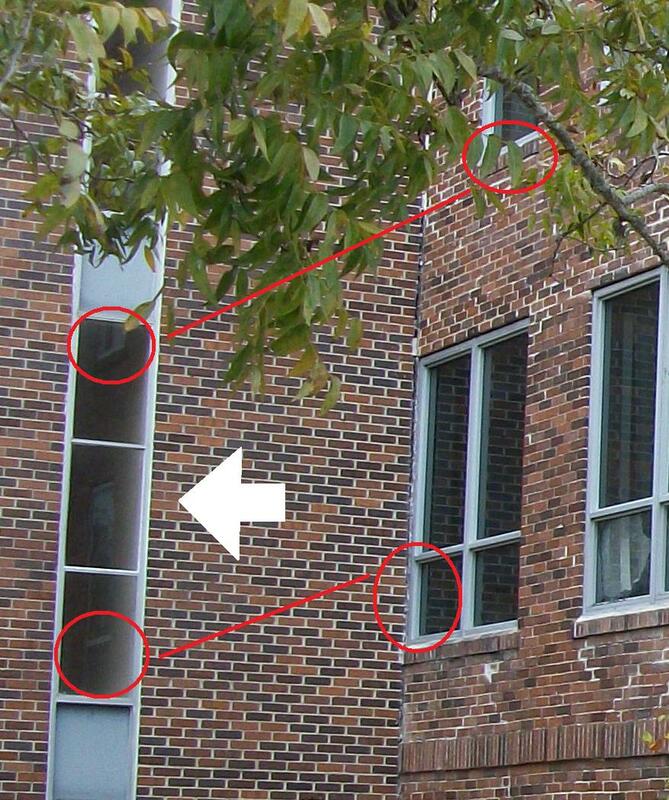 Looking at the three panes on the left of the photo, notice there are three seemingly reflected lighter spots, one in each pane, two of which (top and bottom panes) are obviously reflecting the adjacent window frames. The middle frame contains an adjacent window frame reflection…and something else. 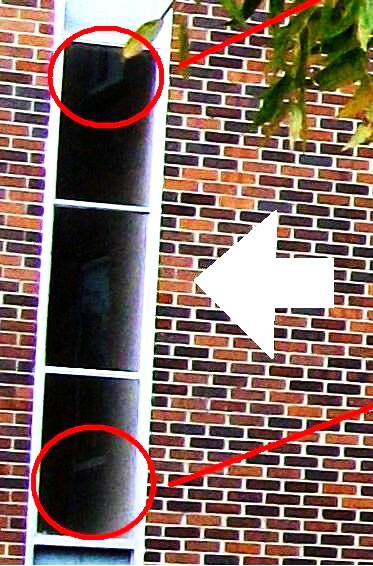 The altered photo, enhancing CONTRAST ONLY, to make out the image clearly: what, other than the adjacent window frames, appears in this reflection?